Summer Sunday mornings at the green market always inspire me. 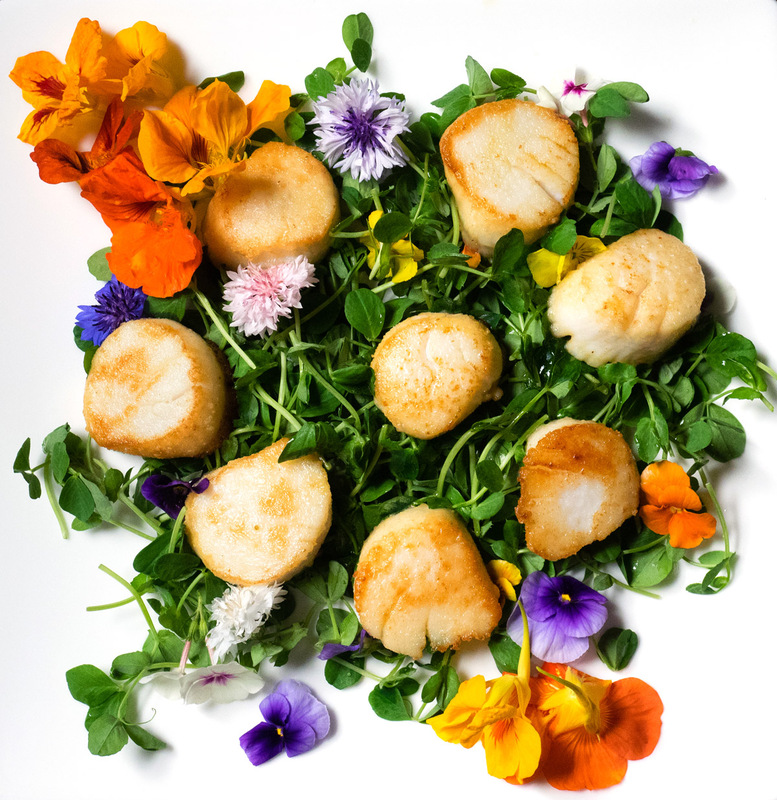 This past Sunday I picked up some scallops along with a bag of pea shoots, foraged trumpet mushrooms, and a plastic clam shell of edible flowers – among other things, of course. But, these were to be the makings of a light Sunday supper. 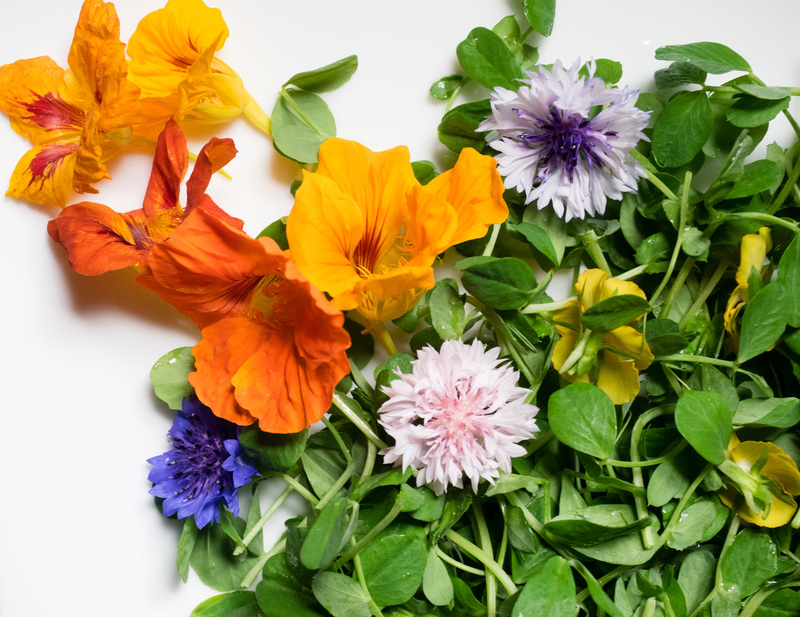 When time came to put it all together, I placed the pea shoots on a nice plate and spread some of the flowers around and on top of them. I lightly dusted the scallops with Wondra flour and salt and pepper and gave them a quick sear in extra virgin olive oil. I had some vinaigrette on hand that was made from moscato vinegar so once the scallops were seared I placed them on the pea shoots and drizzled some of the vinaigrette over the top. (Totally forgot the mushrooms, but they will not go unused, I can assure you – at $25.00 a pound we will relish every bite.) The scallop dish was light and very tasty and the flowers were the most delightful addition. I’ve always loved nasturtiums and in this case their bite added just enough zest to an otherwise very sweet dish.